In today’s market, there are tons of resin materials available for the client to choose. 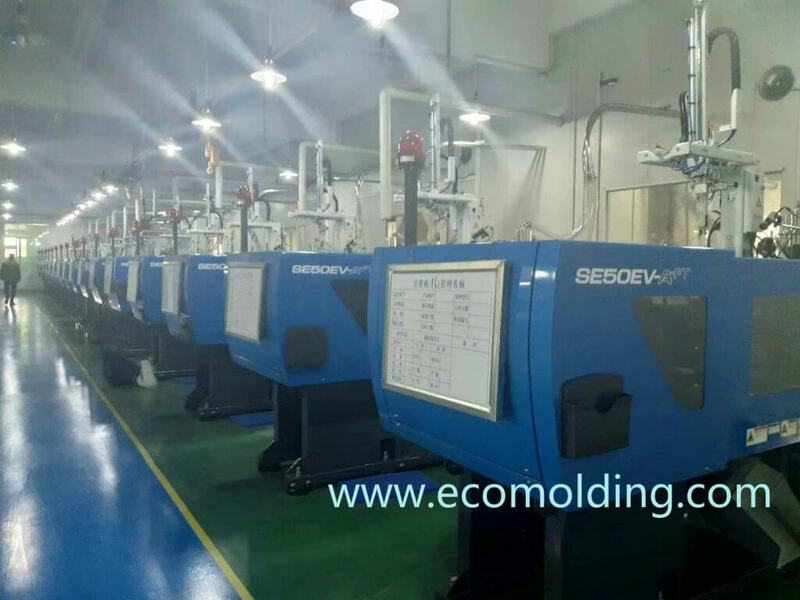 So, the selection process for plastic injection molding materials often seems very challenging in the very beginning. 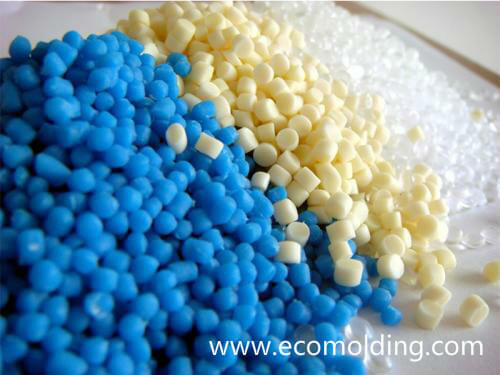 At ECO Molding, we are clear that each type of plastic material boasts unique features and benefits, so we work in close collaboration with the client, in a bid to explore the most appropriate material for their production projects. As it boasts a remarkable impact and mechanical strength, the ABS (Acrylonitrile Butadiene Styrene) is applied in a broad range of industries, from automobile to pipe manufacturing. Metal coatings adheres to ABS easily, so the material is a perfect fit for production of such products as telephones, shower heads and handles, etc. However, the material is not very resistant to chemicals, so it is better not to use it in the applications that require electrical insulation or resistance to UV. Celcon, also known as Acetal, boasts outstanding surface lubricity, resistance to creep (memory) and chemical solvents. It is an ideal material for applications in the food, beverage, mechanical, automotive and household industries. We usually choose this resin to manufacture toy components, as well as gears and bearings. Besides, it is often applied in production of automotive and household products. However, it is not a good choice for applications under high temperature conditions. Polypropylene, commonly known as PP, is best known for flexibility in the industries including packaging, fluid management & processing, household products and production of some automotive parts. Although polypropylene is a flammable material and susceptible to UV radiation, it still provides good chemical and electricity resistance. The majority grades of polypropylene are flammable and subject to degradation by UV radiation. HIPS, short for High Impact Polystyrene, is a tough material with a low-cost performance and customizable surfaces. This material is able to be easily printed, glued, bonded and decorated, and is commonly seen in such industries as merchandising, displays, printed graphics, as well as prototypes. Though it is flammable, there are flame-retardant varieties available on the market. LPDE, i.e. Low-Density Polyethylene, is the version of polyethylene with the highest flexibility. It boasts a strong resistance to moisture and a high impact strength. 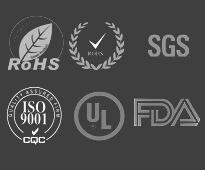 The LPDE material is usually used in production of many consumer products, housewares, as well as medical supplies and electronic wires. However, this material is difficult to bond, so it is better not to use it in extreme weather or high-temperature conditions. Impact Strength – The production of some parts requires a higher base strength than the rest of them, so the IZOD impact strength of a resin material should be identified from the very beginning. Tensile Strength – We use ultimate tensile strength or ultimate strength to measure a resin’s tension resistance and its capability to withstand a certain amount of load without falling apart. Flexural Modulus of Elasticity – This term measures how much a material can be bent without being damaged and is still able to return to the original shape. Heat Deflection – For production of products that requires insulation or tolerance for a relatively wider range of temperature conditions, the heat deflection performance is of great importance. Water Absorption – It measures how much liquid is taken by a material after 24 hours of immersion, usually measured in percentage. If you choose the most appropriate material from the very beginning, you will not only save time and money, but also you will ensure the highest possible level of performance and manufacturability. To identify the ideal material choice, we suggest you research your options in a careful manner while consulting with a qualified plastic injection molding maker.